Since 2005 OART has established a programme of biological monitoring which complements our chemical analysis. We endeavour to sample each of our monitoring points at least once a year and to date have taken 201 samples from 65 locations. Surveyor faces downstream with a pond net held vertically in front with the rim touching the substratum. The bed is agitated (‘kicked’) with the feet for three minutes. 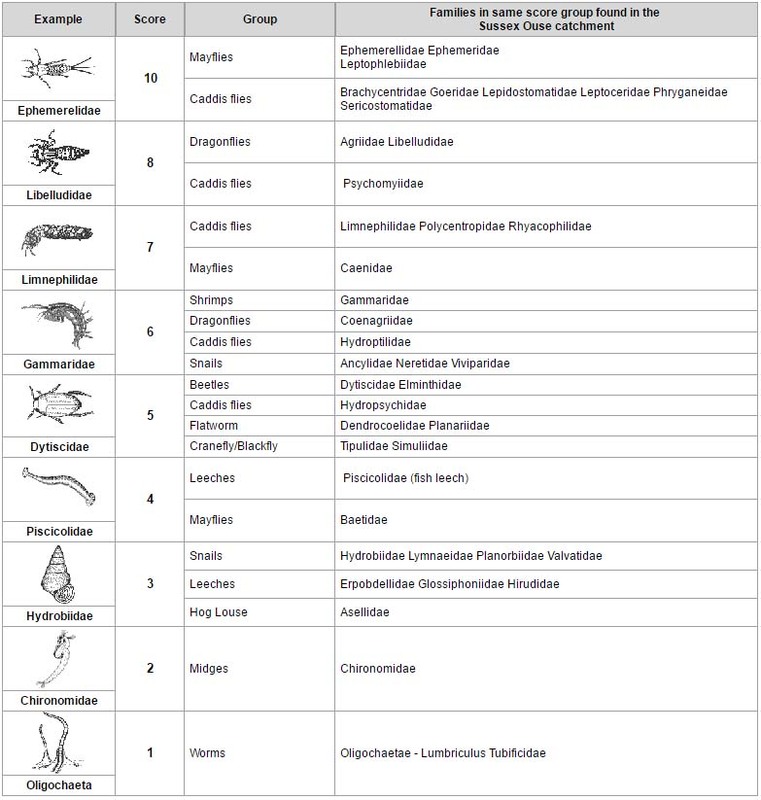 Macro-invertebrates (those animals which have no backbone AND are visible without magnification) which are captured are identified and listed. A score is allocated to each according to its perceived tolerance to pollution. 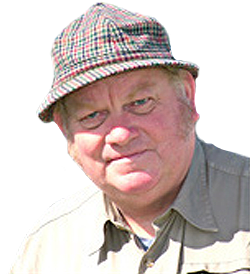 The scores for many of the families found on the Ouse catchment are shown at the bottom of this page. Each sample is then analysed by totalling the scores for each identified family to give us the BMWP score, this figure is then divided by the number of taxa (each organism is a taxon) to get an average score per taxon (ASPT). In addition the abundance of each taxon is recorded. We use ASPT as it is independent of sample size (being an average) and is less influenced by seasonal variations than the BWMP method and therefore gives an additional, more consistent index. The table below gives the ratings for water quality in defined bands of both BMWP scores and ASPT. We use our own biological quality index and the water quality index is based on the South African Scoring System SASS ASPT evaluation 2014 . The results from this monitoring give us an indication of how habitat has been faring over time.